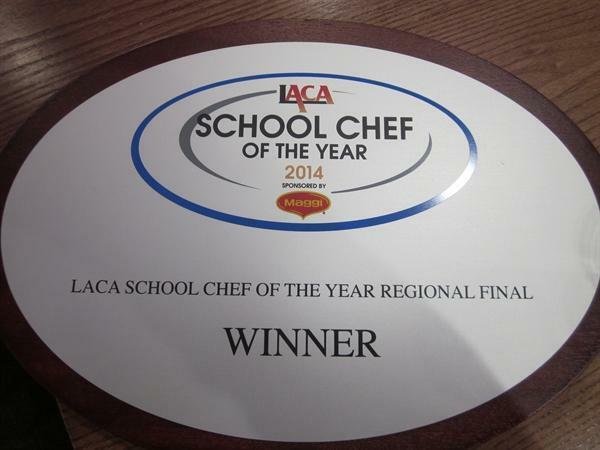 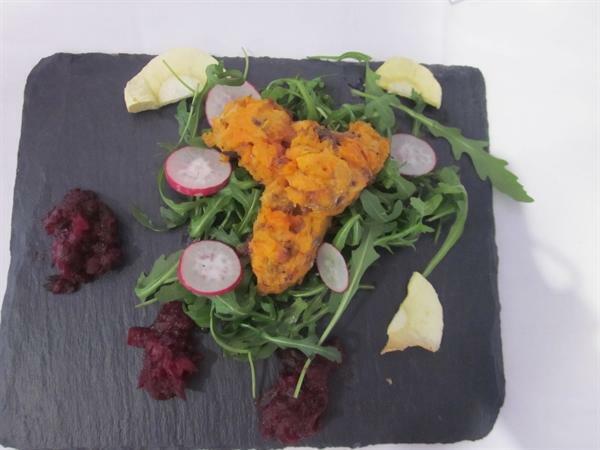 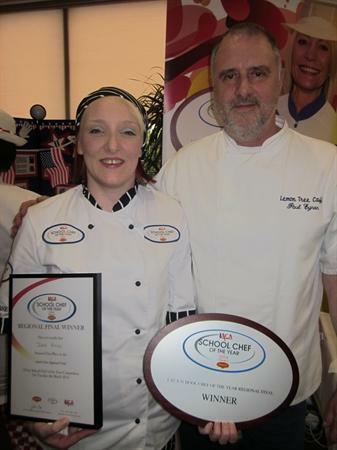 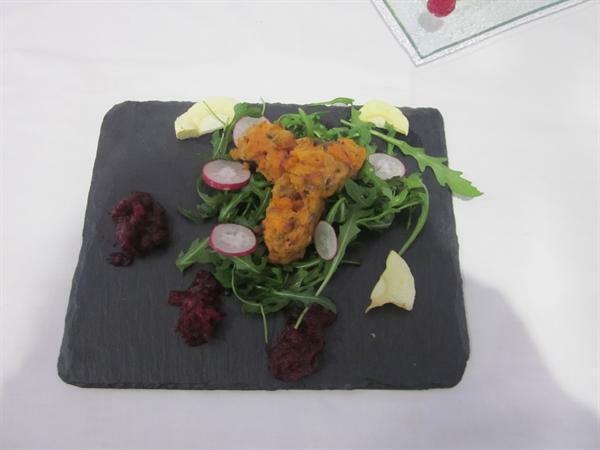 Jodie Pearce, our school kitchen manager WON the South West regional heat of School Cook of the Year. 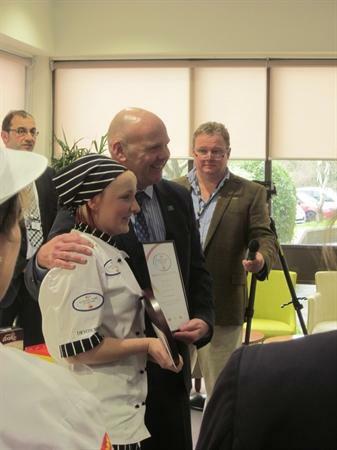 There was representation from as far as Swindon and Gloucester, as well as more local competition from Plymouth, and in her first year of entering this is a great accolade. 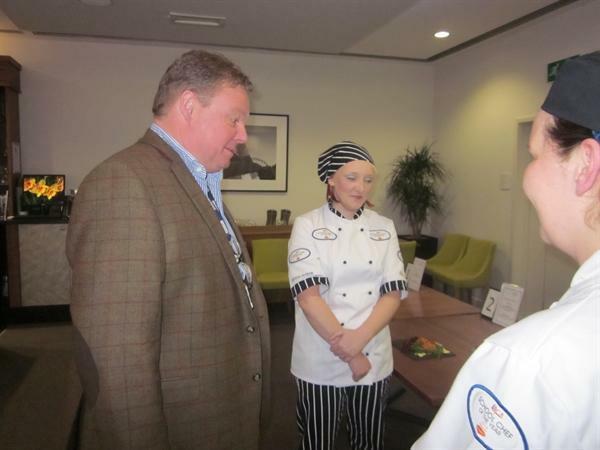 Jodie was also supported by her area manager, Barbara, from Devon Norse Catering. 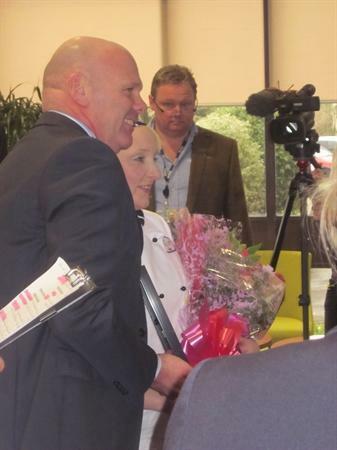 The final took place in the catering department of King's Road College, part of Plymouth University, with BBC Spotlight and BBC Radio Devon recording the event. 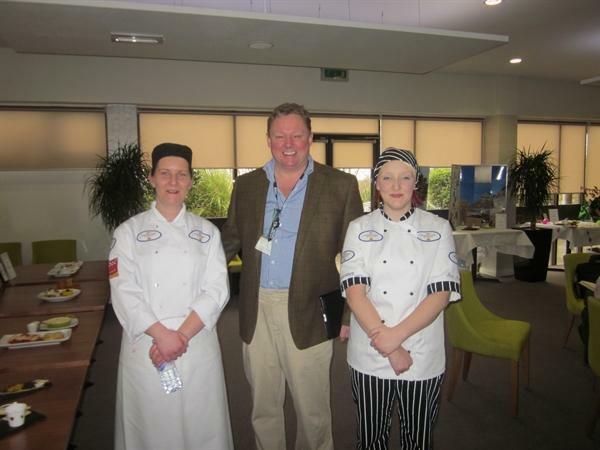 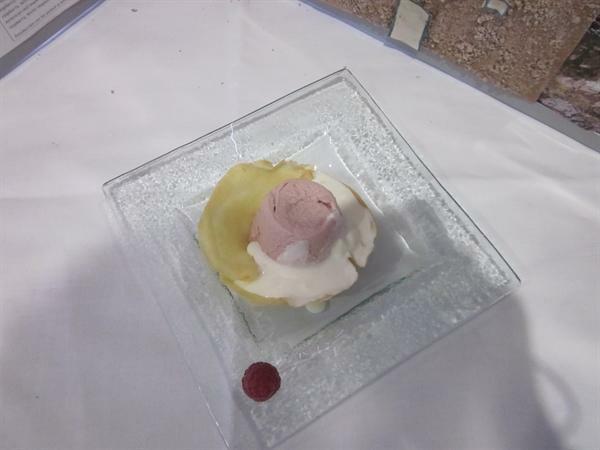 The main and dessert were judged by a panel of six including two pupils from a Plymouth school and unbeknown to contestants, local chef Paul Eynon from The Lemon Tree in Elburton. 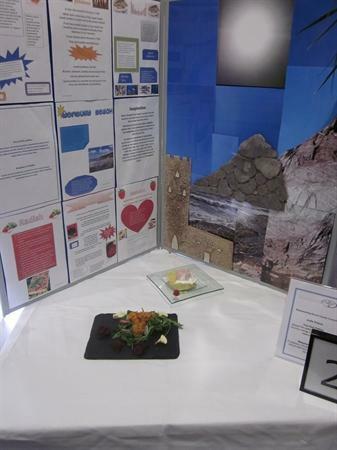 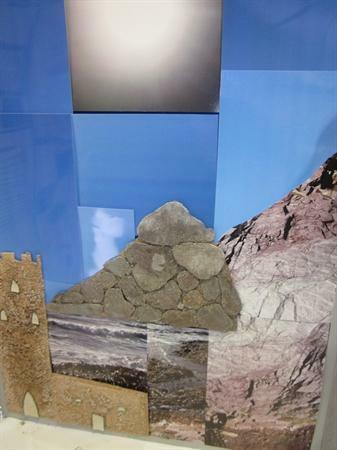 Jodie also had to provide a display, that she was supported in developing by pupils, Jasmine, Emily and Harriet, from Year 6. 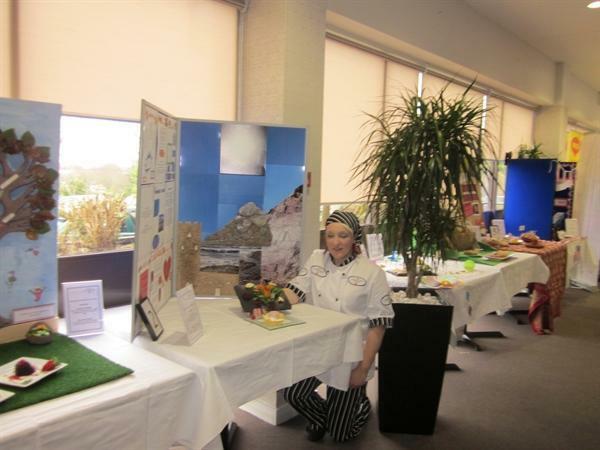 She will now go through to the national final in May, and we wish her the best of luck.